Every Tuesday new inventory gets showcased on the Brokers Caravan tour so that agents can preview property for their clients. What's interesting is over the past couple weeks, it seems like a high percentage of the homes I walk into are already in some stage of multiple offers. And its not just in the lower price range. Last week I had a client interested in a property on N Glenroy, in lower Bel-Air, that was asking $2.895M. After researching comps for my client to present an offer, we both thought the asking price was potentially a bit high. However, after attending a very busy Sunday open house, I thought its possible this house could sell quicker than we expected. But boy were we shocked to see 14 offers come in on the house. This past Tuesday I previewed a new architectural house in Cheviot Hills on a tiny street called Dumfries that had already received 4 offers and was in counters by the first Caravan day. According to the MLS, 2821 Dumfries is a 4+4, 3,591 sq ft of living space on a 9,140 sq ft lot asking $1,795,000. And if anyone has been out touring the lower +/- $1M mark for homes in Westwood over the last few weeks, I'm sure you have seen an extremely busy atmosphere. 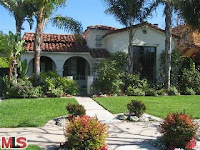 A little over a week ago a 3+3 Spanish home on Pelham came on the market asking $895,000. My first thought was that it was priced a bit on the low side. Well so did the general public because the first open house was wall to wall people the entire time. It ended up having crazy multiple offers and I believe is way over the asking price. Last week a new Spanish 3+1.75 at 1527 Midvale Ave came on the market asking $1,095,000. This property received 9 offers and is also now in escrow. This past Superbowl Sunday was the first open house showing for a new Spanish listing at 10462 Tennessee Ave, priced at $1,199,000. You guessed it, received a strong offer the same day that was accepted right away. If given a few more days, I think they would have received multiples. Even though I pointed out a couple of higher priced homes receiving multiples, I still think the upper price range is slow to move right now. 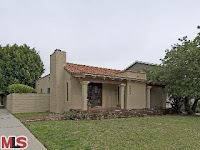 The lower +/- $1 million dollar mark is an intense price point right now in Westwood in which there are a shortage of 3 bedroom properties, NOT on busy streets or corners. Just doing a bit of research on price points in Westwood above and below $2m, I found that homes selling for under $2m are down just 9% since peak, where as homes selling above $2m are down 20% since peak. I am interested to hear anyone's take on what they are seeing on Sunday open house days if they are out touring in the market. Since 99% of the time I am holding an open house on Sunday, I don't get to ride around and see what you might be seeing.